Tarantula | “For a Happy Life” is coming to Luxembourg! On the occasion of the Luxembourg City Film Festival, a premiere of “For a Happy Life” together with directors Salima Sarah Glamine and Dimitri Linder, along with actress Sofia Lesaffre, will be hold at Ciné Utopia in Luxembourg City on Sunday 10th March 2019. The screening will be followed by a meeting with the crew. 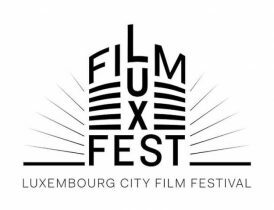 More informations on the website of the Luxembourg City Film Festival. The film will be released on the 20th March at Ciné Utopia.